Multiverse Madness | Impressions. Ideas. Inspirations. Tonight, for the first time in a very long time, Tina, Christian, Conor & I ended up at Mum and Dads place for dinner on a Friday night. After dinner was cleared away, I decided to head home around 7pm so I could grab some fuel for the car and get everything ready for when the boys came home with with my wife. When I said I was leaving, Connor piped up and wanted to come with me to help out and spend some one on one time just with Dad, while Christian opted to stay and spend some time just with Mummy. So we went and got some fuel, and a few Freddo Frogs for the rest of the family as Connor happily chatted away in the back of the car…something he doesn’t normally do as Christian is the car talker! When Connor and I got home, he asked if he could watch one or two 10 min video clips on YouTube that he loves. Fair call and why not! They normally have to take turns so I had no problems with the request at all….that was until I started to get things ready and I turned around to see Connor standing behind me,….just watching me go about my business. There was no way I was going to pass up that opportunity, so I put down the dish cloth and sat on the lounge and Connor snuggled in and proceeded to give me a running commentary on his favourite cartoon video about the police car chasing the baddie for the next 10 mins. Letting Connor chatter away, having the stage and letting him interrupt his own commentary to pause, and say ‘I love you Dad’ for no other reason than he can just melted my heart beyond words. I must admit that I had just forgotten just how much the boys love one on one time. A time where they don’t have to compete for attention, the TV, a chat and more importantly kisses and cuddles. Being so busy with work (seeing the boys, and Tina, one hour a day during the week lately), I was just to busy trying to parent and adult, that I lost my focus on being a Dad. Tonight is a night that I will treasure for a long time to come as I simply curled up, forgot about the world and enjoyed the company of just one of my Sons. No phone, no Facebook, no interruptions, nothing….just Connor and I loving each other’s company and enjoying being a Dad. To be honest, I didn’t want it to end…..yet in time, all good things do. So here I am now, with both of the boys tucked into bed, and me with the hope that I can sneak some time with Christian to do the same with him some time on the weekend. I just wanted to share with all of you, that no matter how busy life gets, the ‘little people’ that sit in your lap today, are the ones telling you they are getting married tomorrow. Take the time, find the love, share yourself and just ‘be’ with your little ones while you can. To look back on moments like these, the ones you make time for, will be some of the most precious memories you will ever make. I know this because there isn’t a dry eye here as I write every last word of my night with my son on this page…. Its not everyday that I choose to write about, or petition, good folks like yourself to matters like today’s topic. I would implore you to read the following post and sign the petition linked below. If the HOMs (Higher Order Multiples- Triplets or more), don’t get this, then the government ‘don’t get this’……make a difference in your community today, sign and say NO to these cuts to family that desperately need this allowance. I personally know as a parent to Twins what the financial struggles have been, how parents with triplets, quintuplets or more do it is an absolute credit to them. I would like to direct your personal attention to the possibilities of cuts to the ‘Higher Order Multiple Birth Allowance’ under the microscope for the upcoming round of budget cuts. For both yourself and other parents of single children, I would like to highlight just why this is even remotely unthinkable. This isn’t a money grab by multiple parents, this is desperately needed money to help a family survive. Let’s take the set up the costs of just the big ticket items a parent of one child Vs a parent of triplets needs shall we? Let’s just go for the basics…..
Now a triplet parent needs three (3) times just these essentials alone, which would come in at $9,515 and that isn’t including any renovation of the nursery room, bottles, possibility of upgrading a car to fit three children, needing 3 X the formula if required, three times the manchester, three times the toys….oh and daycare, don’t even get me started. Day care (if you can find a centre that will even take three children) is average $600 A WEEK AFTER THE 50% child care rebate for three children. Can you imagine the introduction of three children into any household when most incomes go back to a single wage? You cannot simply filter items down to the next child like most parents can and will do. It would be awesome if HOMs could do this but it is simply impossible. I have respect for every parent out there be they a parent of a single child or multiples, yet the circumstances of each vary so dramatically that most cannot even contemplate these changes. Oh and please, don’t tell me that having three children 18-24 months apart is the same it’s not. Can you even conceive how much these families miss out on because of the costs of doing something simple, like going out for dinner or imagine the costs of Private Health Insurance. That in itself is a whole other story! AMBA and the entire Multiple Birth Community are concerned that this allowance will be removed by the Government in the upcoming May Budget. 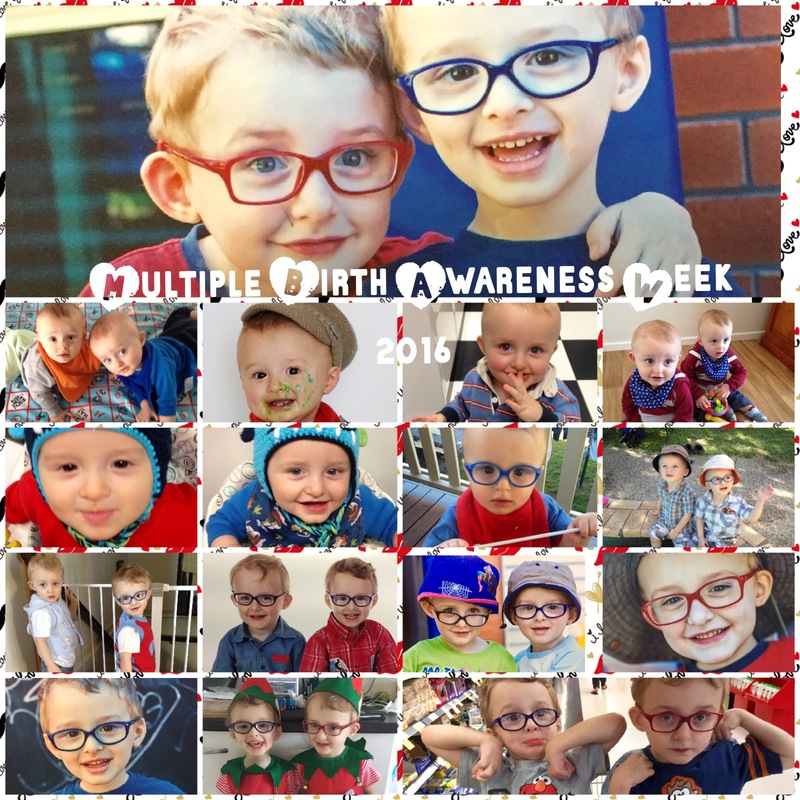 The Australian Multiple Birth Association (AMBA) represents families with twins, triplets, quadruplets, quintuplets and more across Australia. 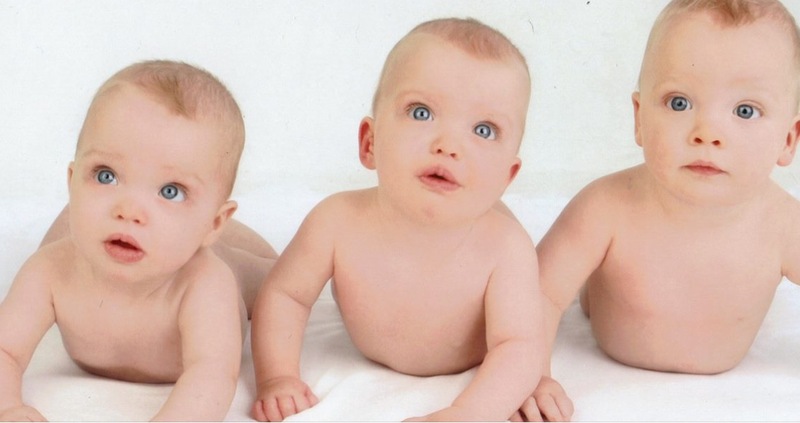 All of these types of births are referred to as a “multiple birth”, while triplets or more, are known as “Higher Order Multiples” (HOM). This is a way of distinguishing this minority within a minority; indeed, less than 1.5%* of multiples are HOMs. HOM families receive a much needed Multiple Birth Allowance, from the Government, with a maximum amount of $3,920.10 per year for families with triplets or $5,219.50 per year for families with quadruplets or more. Fewer than 1,000*** families in Australia receive this payment. That’s less than $500,000 a year. A previous Government’s recommendation was that the Allowance should be removed. This was met with despair by HOM families and AMBA members could not understand their rationale – Given what is known about the costs of children, there is little rationale for these extra payments. The National Centre for Social and Economic Modelling Studies (NATSEM) shows costs are decreasing for families for the second and subsequent children. This is based on the premise that items purchased for the first child are able to be passed onto subsequent children. This is not the case for multiple birth families. NATSEM also shows that the biggest increases to cost of living are in childcare and education – two areas of immediate expense where families with HOMs are unable to spread the cost. “If a child costs $250,000 to raise in a family as a singleton until adult age, the costs are magnified when three or more children are born at the same time,” said AMBA’s Communications Director, Erin Sinclair. “There are no hand-me-downs, and children can be actively disadvantaged over schooling options, attendance at after-school activities and camps” said, Ms Sinclair. “We were really grateful that this change didn’t occur and it really adds credence to the Government’s support of families”, said Ms Sinclair. “This week, we sent a letter to the Government asking them to understand how this Allowance assists HOM families and how the removal of the allowance will have a detrimental impact on them.” said Ms Sinclair. AMBA have launched this Change.org petition to garner support from the broader community in support of HOM families. We highly recommend that you, as our paid sitting member to the community, take the above mentioned petition and knowledge to your cabinet and recommend these changes not be made. The disservice that looks like being pushed onto families in not need not is it warranted to those who didn’t ‘choose’ to be super parents of Triplets, Quadruplets, Quintuplets or more. *The most recent data available from the Australian Bureau of Statistics shows that in 2014, only 65 out of 4,316 multiple births were HOMs, from a total of 299,697 births (Births, 2014). **The Allowance is only paid to HOM families who meet the income eligibility tests for Family Tax Benefit Part A. The Allowance is paid on a sliding scale depending on the family’s’ income. ***1,000 families is based on data from the 2008-09 Annual Report from the Department of Social Services, when it was FaHCSIA, as details about the Multiple Birth Allowance are not quoted in the current 2014-15 report. The Annual Report states that there were 398,000 families receiving the FTB Part A and 950 were receiving the Multiple Birth Allowance. This correlates with the fact that there would only ever be around 1,200 HOM families in Australia who had children under 18 at any one time. This is based on an average of 69 HOM births per year since 2009. Of course, not all of these families are eligible for the payment and 18 years of age is the cut-off for the payment if at least 3 of the children are senior secondary school children until the end of the calendar year in which the first born of those children turns 18 years of age. For Forty-seven years I have dreamed of being where I am tonight…. Bone weary yet deliriously happy, I currently have my twin three and a half year old boys lounging all over me as I attempt to write this blog. The monster truck carrying numbers is playing for the 374757564th time this week, which is only a few shy of The Big Red Car by the Wiggles, (Yes we only have the originals here! ), yet revenge is sweet when I see the boys singing along to Chitty Chitty Bang Bang while I capture it all on video for their 21st. You can keep your fast cars, rock concerts and gym memberships. I get enough exercise from two little boys making Wooooooowooooo siren sounds chasing the baddie (me), for failing to indicate when I turned left at the kitchen bench. I’m sure the infringement ticket will cost me two yoghurt pouches and an extra story to read at bedtime. Bad Daddy! The joys of fatherhood come to me wrapped up In two big smiles, two sets of mischievous eyes, two pairs of glasses, two pairs of arms wrapped around my neck and two infectious sets of giggles that will forever warm my heart. So how do I know that I have found my calling? This has to be the easiest question I have even been asked. The answer is simple….when I hear the simple words of “Daddy, we love you” being softly spoken in my ear when I least expect it. Sometimes what you were meant to be isn’t associated with money, fame, other people’s ideas of what you should be. Sometimes your calling is just trying to be a good Dad. Now I am not the wealthiest man in the world, yet I bask in the richness of the affection of my twin boys. 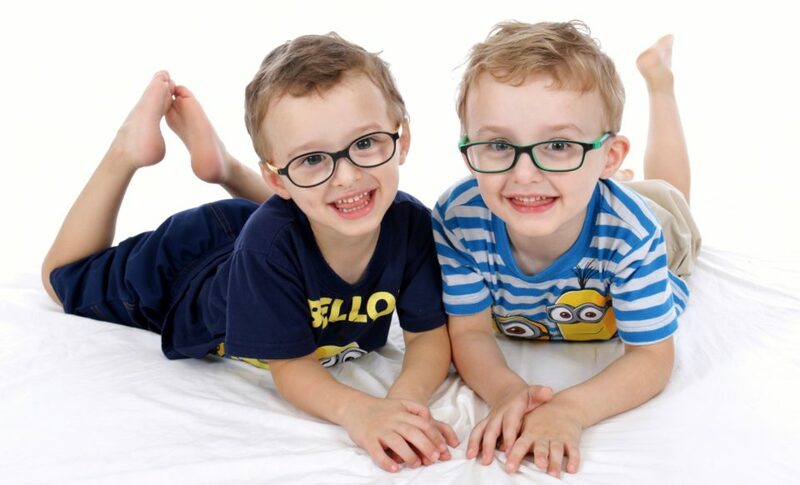 I am not perfect, far from it, yet I see the cheeky glint in my boy’s eyes, the laughter that fills our house to overflowing and the never ending, riotous, conversation between our twin boys. I have never felt younger, or older, than what I do right now. Yet it hasn’t always been this way, at times you can feel broken, at times you feel you are doing it all wrong. At times I don’t think I have the patience, love and strength to be ‘that man’, yet…..I try. I try because I see who is watching me, emulating me and learning from me. I promised a lot of things to my boys, of which a few of which have been broken, but I’ll gladly accept a speeding ticket or any other infringement notice my boys dish out for me in return for another hug or extra book at bedtime. You see, being blessed with multiples comes with a price, yet it also comes with some of the most life changing rewards. It’s not always been this way, yet through the AMBA family, I have found a way. You are never alone, someone always knows and understands and no family left behind are not just mere words or platitudes, they are actions we encounter daily. Having joined the BMBAS (Brisbane Multiple Birth Association Southside) in 2012, I soon found myself on the committee as the Dads Contact and EPIN (Expectant Parents Information Nights Support) and learning how much volunteering can change your life. Meeting beautiful people, forging lifelong friendships, watching babies turn into toddlers before your very eyes and most of all, loving every moment of it. So, if you’re lucky tonight, you will be tucked into bed while your temperature is being taken with a paddle pop stick between your toes, while your other child is opening your mouth like a lion tamer, and has decided they are going to crawl inside your mouth to inspect your tonsils and check out what you had for lunch. Enjoy celebrating your MBAW in 2016. May multiple blessings permeat your house and the silence be broken often and loudly with the mirth of happy kids. Goodnight, be well and may your dreams of being on your local AMBA committee at next months AGM come true! After a recent phone discussion with the lovely Ali from AMBA, we were discussing the involvement of Dads in local AMBA Clubs around Australia. It came as no surprise that most Dads had the perception that AMBA is a ‘Women’s Group Only’. While this may be true in the ratio of attendance of committee / board meetings, it doesn’t mean Dads aren’t able to participate in some shape or form, in fact most Dads think their membership to AMBA is only for Mums, where in actual fact it’s for the whole family! With the age of technology well and truly entrenched in today’s society, we may have to redefine the meaning of ‘participation’…more on this in a moment. Volunteering comes in many ways, and in some cases the way volunteering is done today will totally surprise you to say the very least. To show you what I mean, I am going to put a challenge out there to all the families who are not currently active in or part of an AMBA committee or an AMBA club itself. Bear with me here and don’t think ‘This isn’t for me’ before you read below, some of this information may challenge your preconceived ideas, yet YOUR input could be the difference in having just a club or being involved in something special. Let me give you an insiders view on how important the role of having Dads on your local AMBA committee. 1] Did you know that most roles are usually held for a maximum of two years? 2] Did you know that most roles only require between 1 – 6 hours a month, most of which can be done when the kids are asleep? 3] You don’t need to be an expert at something, you just need to be interested and involved! 4] It’s a group of women where men aren’t welcome. Personality clashes can, and will, happen wherever you go, and by saying this about any group is usually a predetermined outlook by those who have never even attended a committee meeting, let alone volunteered for a position. It’s about teamwork and working a s a collective. If you truly feel there is an insurmountable amount of resistance, there is always a way to raise this through appropriate channels within AMBA. 5] Did you know all committee meetings are open to all AMBA members? You don’t have to be on the committee to attend, just go along to see what your club is planning, get involved and be inspired! 6] I don’t have time and I get nothing out of it. As they say, “You only get out of it by what you give”, couldn’t be more true! Please don’t tell me you don’t want to make new lifelong friends, enjoy social gatherings for the whole family, discounted rates to local family play centres, weekly play groups, Bunnings BBQ / bake sale fund raisers (we have a hoot of a time at these events AND some are even kids free! ), Dads catch ups, Mums catch ups, information, ideas, tips, tricks on raising multiples, hospital liaisons who will come and see you in hospital before you go home, FREE library resources, Breast pump hire, feeding pillow hire, seminars on things like sleep settling, toilet training, sharing a massive get together every year for Multiple Birth Awareness Week and the list goes on. If anyone feels alone, then all you have to do is join your local AMBA group. 7] The annual registration fee is for the wife only. No, it covers the entire family! Get the grandparents involved too! 8] It’s not just a club, it’s a second family. Themes such as ‘From those who know’ to this years theme of ‘No family left behind’ should give you some idea that this isn’t about individuals, but families. 9] You’ve got to be a part of it to make a difference. This is the bottom line. 10] Everything is addressed to the ladies or ideas us guys have are fobbed off. Ok, seriously, if you feel disrespected, maybe look at the situation first. A] Old habits are hard to break! B] Is it a personality clash? D] If you want change, you have to be part of the process. It doesn’t happen overnight but it can happen if you persist. Work with what you have got and help things evolve, especially if it’s your first time attending or being part of a committee. Respect is given to those who nurture, just like you nurture your children. Demanding things change and doing nothing about it gets you nowhere, then where will you be? 11] I don’t have time because of travel, work, kids, I live to far away, etc. One family in north QLD lives several hours away from their ‘local’ AMBA club and have made it work. Puts a bit of perspective on things doesn’t it? Get a babysitter, take the kids along if they are young enough, they’ll sleep anywhere! These are the top 11 things that come to mind. The bottom line is it’s NOT about ‘you’, it’s about your kids and the benefits they get out of it. ‘You’ get the benefits of a list so long (some of this is mentioned earlier), that you’d be nuts to not want to join. Anything that’s good for the kids is a good thing as well. Social interaction, learning new skills, having fun and not even mentioning them exhausting themselves into oblivion so they sleep the whole night through! We all want what’s best for our kids, right? So if you said yes to this question, there is no reason anyone wouldn’t want to make it work. 1] Using Skype / Webinar so those who cannot be physically there can still interact? 2] Video your meeting and upload it to a private channel on YouTube so members can see what’s going on? 3] Put out a list to the Dads on the next newsletter with dates where a little bit of grunt / muscle and experience (read cooking a Bunnings BBQ here! ), could be used. From experience, the ladies always appreciate a hand to set up and pull down things like Gazebos, carrying the rubbish out and trestle tables for an event. The classes are held in a pub so the guys can relax in a familiar environment while they learn. Many of the participants tell us that they were relieved to find out that other men shared the same fears and concerns about becoming a new dad, and were also unsure of how to best prepare themselves for the labour, birth and early parenting. Multiple Dads Sanctuary is a Facebook group, supported by AMBA, where Dads with Multiples can get and share information on their experiences. Dads / Uncles / Grandad / Cousins are the role models for the kids of tomorrow….YOUR kids! All of these interactions are a ‘sum of the parts’ experience. No parent has all the answers. Being a part of my local AMBA club, running the MDS on Facebook, having a blog doesn’t mean my 3.5 year old boys miss out on a thing, on the contrary, I now have so many ideas to show and share with my boys, that I have set up my own business from home to give me the flexibility to spend even more time with them! It’s your choice as parents, it’s your choice as Dads, yet if you want to see a real difference of being part of something special, give your local AMBA club a go. You have nothing to loose and absolutely everything to gain from such a brilliant resource. So I ask you, where are the Dads who want to make a difference? Today’s ‘recipe’ is a little tongue in cheek, yet also pertinent to BOTH parents. With nearly 4 years of parenting under my belt to our twin boys, and having survived thus far, I have been reflecting on the parenting pros and cons of how we, as parents, have done raising our boys. Meh, we’ve had our days but we also have two very happy, bright boys who are thriving on our love, guidance, routine and boundaries. In addition to my own personal household experiences, I am also going to draw on actual experiences from places like the ‘Multiple Dads Sanctuary’ Facebook group and real life as well to see if us Dads are doing a good job. So, how do we stack up? What issues are at the core of the regular Dads issues with his wife / fiancé or partner? I did a 13 part series on ‘Tips and Tricks of become a parent to Multiples’ a while back now, so this is going to be a sort of compendium to this. Shall we indulge? How do Dads stack up in the parenting department? From what I can ascertain, most Dads today are being far more hands on than previous generations of Dads. While we still don’t know everything, we have become far more involved in the day to day raising of our kids. Stay at home dads are far more common than you would think, helping with feeding, household chores, just to name a few, are no longer ‘jobs for the ladies’. Taking the kids to the park, Bunnings, the play centre or play group are no longer just a ‘Mum thing’ either. It looks like we’ve been picking up our socks a lot but we still have a ways to go though! In all honesty, as much as this is a wonderful thing, it has a flip side to it that is causing a lot of Mums & Dads a lot of angst, frustration and friction within their relationships. We, as Dads, are encroaching on what has been know in the past, as traditionally female territory. How each couple deal with this personally seems to vary from mild annoyance to outright open warfare. I mean, when you stop and think about it, any woman can feel threatened (consciously or not), by a well meaning Dad as he tries to step up and help, no matter how well intentioned, it can throw things into chaos. To play devils advocate here, from a woman’s point of view, he’s now meddling in her domain yet it’s a catch 22. Mums all over the world want Dads to help, yet he is met with a plethora of resistance when he tries. We don’t do things right, mum always knows what’s best, mum gets the last word….the seething and underlying tension builds rather quickly and a ticking time bomb is now ready to detonate. So this is where the title of today’s blog comes from, “How do you roast your Husband”. Is it a slow boil like the frog in hot water so that he doesn’t even notice, or is it a case of ‘off with his head’ and silence all the critics in one foul swoop? Let’s step into an average Dads shoes for a moment, let’s see what / how he is thinking. Now while I write these words, I want to forewarn you all, these scenarios I am going to rattle off are REAL. They are not an emotional response, nor are they here to criticise. There are here to help you ‘think’ about how we, as parents, BOTH react to each other. I’d be lying, or at least a wanted man, if I told you I know how a woman thinks….I’m not that brave / stupid! Dads thoughts: Wash the dishes or stack the dish washer, sweep / mop the floors, throw anything laying on the said floor into any drawer or spare room, empty the rubbish bin and throw all the clothes into the washing machine. There’s no mould growing anywhere in the bathroom so a wipe down is the only thing warranted. Dad scores himself 9/10 for helping out, Mum on the other hand gives him a 4/10. What Mum sees wrong….dishes aren’t stacked correctly in the dish washer, he didn’t separate the whites from colours in the laundry. Everything put in a draw is in the wrong draw and has to be resorted, mould or no mould, the bathroom needs to be pristine and spotless and he is told so in no uncertain terms. He forgot to do X, Y and Z as well! Dad wonders why Mum didn’t state exactly what she wanted. He equates it to handing you the chainsaw and saying, ‘Can you trim the garden please?’ And hoping not to come outside and finding everything lopped off at ground level. Dads are not natural housekeepers and usually need guidance as to what is ‘expected’ of him and where things go. He’s learning! Thought: If one parent is doing another parents roll to help out, discuss what is expected and then halve that expectation as they learn / adapt to it. We won’t put things in the wrong draw if you don’t lop off every tree at ground level….but please tell us…then it’s a win / win! Scenario 2:Doing what we think is best for our kids. This is going to be a broad stroke of the brush here, I hope you get the underlying drift of what I am saying as it can be almost any topic on raising kids, but more specifically about how / where we get the information to do this. If Dad does ‘X’ ,(bottle feed, puts kids down to sleep, changes a nappy, etc), and does it one way, he is suddenly told, NO, you have to it ‘this way’ says Mum. Cue the bickering or comments of ‘do it yourself’ or ‘I can’t do anything right can I?’ start to fly out of Dads mouth or Mum says ‘You’re useless’ and baby starts to cry and it escalates further with the ‘now see what you’ve done!’ from Mum. (Don’t get picky on how it exactly transpires here, this is just one example of hundreds!). Dad had given himself an 8/10 for trying then felt like it was a -6/10 for ‘not doing it correctly’. Dad feels useless and is less inclined to want to help out. Being berated by Mum, MIL, Aunty or any female for helping out is a REAL downer for Dads. As the saying goes, there’s more than one way to skin a cat! The bottom line is who cares how’s it is done? So long as it it poses no safety issue for the child, and is done lovingly, isn’t it a case of if it gets the job done, that’s all that matters? If you want Dads to engage more and he offers, or is requested to do something, don’t proceed to then tell him how to do it, unless he has no idea at all or asks. The words ‘I’ve got this” are not metaphorical, they are literally his word to you that he has got it….don’t shoot him down for doing it a different way. To simplify all the possible scenarios I could put up here, I will bullet point a few observations that Dads really find frustrating, myself included! * If a Dad helps out, no matter how good or bad, a small thank you goes a long way to him wanting to do it again. You can work on the how when you get a chance to ask each other why they do it a certain way. This is best done when you’re BOTH in a conversation much later when there is no chance of a heat of the moment exchange. If the job is done, it’s good right? * If a Dad asks a question, give him facts, not your opinion. Dads thrive on information not an emotional response. A Dad wants to know WHY he is doing it this way or that. Once he knows why, then there is virtually zero resistance on his part. * PND – it’s a killer, ESPECIALLY when you see your spouse (& even more so when his/her friends notice and comment too), and the person in question refuses to acknowledge that they even have an issue that needs professional help. Nobody has ever achieved a harmonious relationship by refusing to even entertain the thought then may have PND. If only for the sake of your kids, ask your GP for assessment. It’s treatable and maybe ether single best thing you do to keep your family together as a unit. The same goes for depression of any kind, and he’s, I’m talking to both Mums and Dads having either of these symptoms! * Don’t put him in the doghouse without an explanation. It’s simply not fair and is childish for being so unrealistic of whatever Mum’s expectations were. Most of us guys are just big kids at heart to one degree or another. Perspective check, your husband doesn’t laugh at you and mock you when you ask him to open that vacuum sealed jar of spaghetti sauce. Respect each other, don’t resent each other. * Ask the MIL / Aunty / girlfriend to refrain from intruding with her opinions, this is your child not hers. It’s not the 70’s, 80’s or the 90’s now and techniques change. It’s now up to you and your spouse to make these decisions. Having two or three ladies telling a Dad how he should do things just leads to a total shut out of Dad and nobody wins here. You’re supposed to be on the same side not the opposite side. The bottom line is to communicate, which apparently we all fail at one time or another for any one of a hundred reasons. Us Dads want to learn, you ladies want us to be more hands on, so something has to give to find a balance for all concerned. BOTH parents have an opinion and BOTH are just as valid as each others, so ladies, if you want to encourage your spouse to engage, just remember that you do it emotionally and Dads do it factually. This is just stating a fact and not a judgement on how we are hard wired as males / females! Trust me, I’m working on these things every day. Some days are good, some days are not so good, yet on the whole, we’re in a much more even and confident relationship than we used to be. Pulling in the same direction is a bucket load easier than a match of tug of war. There’s nothing more rewarding for your kids than to know that BOTH Mum and Dad are engaged with them and on the same page. Conflicting information for a young child can have all sorts of consequences down the track. Remember, you’re the role model, not the child. Oh and in case you hadn’t noticed, I don’t think your kids give a rats how things are done, so long as they are fed, bathed, loved, healthy and happy…after all, isn’t this what matters most? Sometimes it just needs to be said, or read, to open our own eyes to the way we each do things differently. As much as we think we are flexible, we are not, and this is doubly so for those of us that are first time parents over 40, trust me I know this to be true as I fall into this category myself. Thanks for listen, Stay safe and love one another.